During the meeting with the naval officers on Thursday, Putin said Russian military intelligence estimated that about 4,000 Russians are in Syria and fighting alongside insurgents there. He noted than an additional, estimated 5,000 from former Soviet republics also are fighting alongside insurgents there. The presence of Islamist insurgents in Syria has repeatedly been noticed by Syrian as well as Russian military and intelligence services. 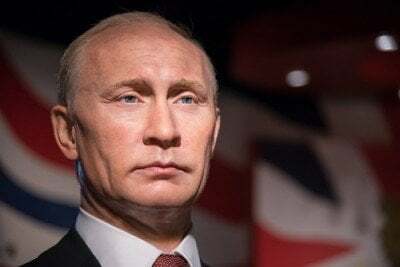 Putin did not break down the numbers, but reports about captured and/or killed fighters from the Russian Federation and material posted by the insurgents themselves strongly suggests that the majority come from Chechnya and other Caucasus regions. Putin defended military operations in Syria saying that they have dealt a blow to international terrorism. Russia stood alone in this fight, Putin added, hampered by resistance from “so-called partners” in the West. Later on Thursday Putin noted that he planned to further strengthen Russia’s military. Among the priorities, he said, are new investments in strategic nuclear defense and aerospace forces. Putin’s statement concurred with a statement by Russian Deputy Prime Minister Dmitry Rogozin who seized the occasion of a military holiday to congratulate Russia’s principal allies, “They are the [Russian]army, the navy, and the military-industrial complex”, tweeted Rogozin.